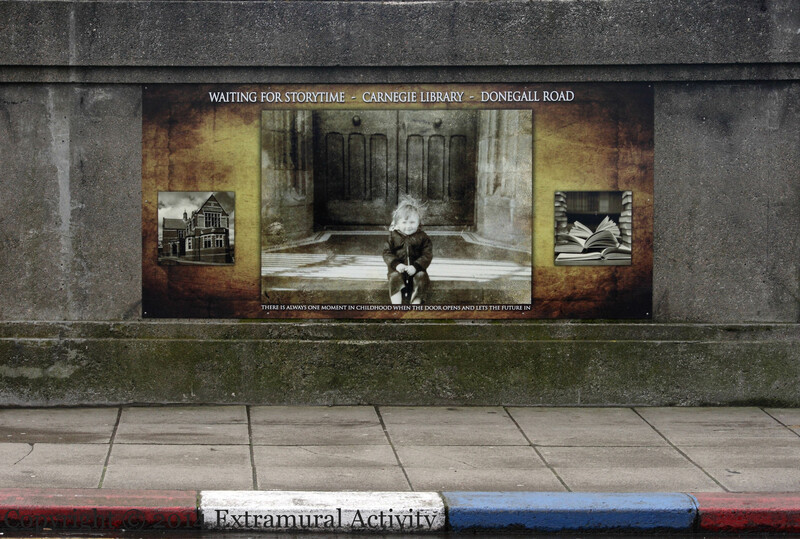 “Waiting for storytime – Carnegie library – Donegall Road. There is always a moment in childhood when the door opens and lets the future in.” A panel from the Donegall Road bridge (south). Previously: Another Carnegie library, on the Falls Road.